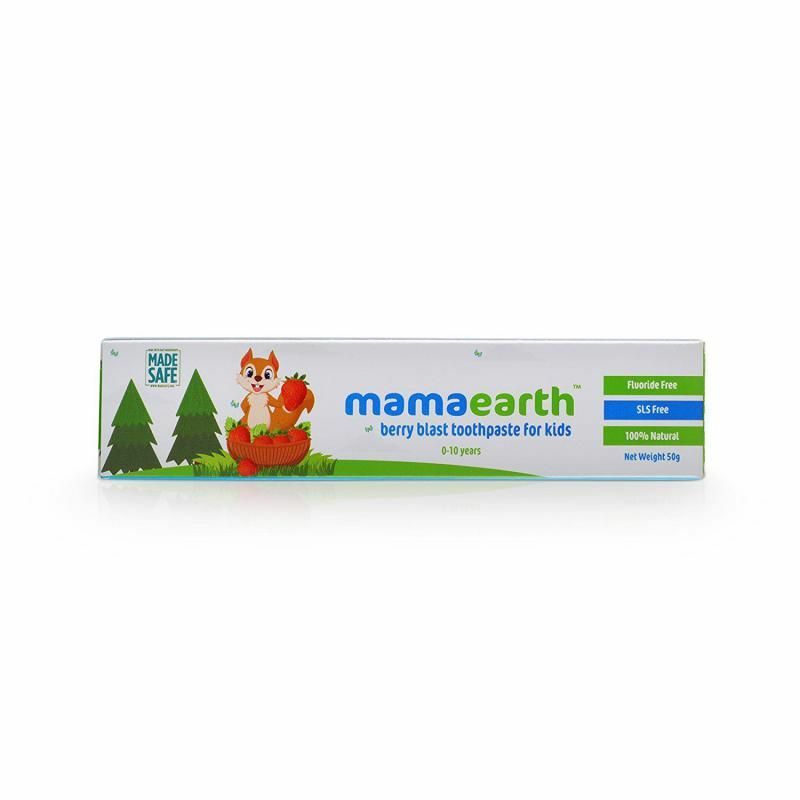 The Mamaearth 100% Natural Berry Blast Toothpaste for kids is a fluoride and SLS free toothpaste that strengthens their gums, removes plaque and tastes awesome.It gently cleanses teeth, removes plaque, reduces bacterial regrowth and provides maximum protection against cavities, yet being gentle on the delicate gums.You don't need to worry if more toothpaste ends up in your baby's tummy than in the sink as it is formulated with natural ingredients .This delicous berry flavour toothpaste is thoughtfully formulated with high quality ingredients like Xylitol, Aloe and Stevia. Introduce this to your babies, and it will strengthen their gums and be their best friend forever. Additional Information: Bring home Asia's 1st Made Safe Certified Brand.Mamaearth aspires to take care of every parents & baby's wellbeing from head to toe with 100% safe, toxin-free and natural ingredient based international standard products which you can choose for your little one without having to think twice.The brand aims to provide safe natural solution to problems ranging from morning sickness to baby colic in future. Explore the entire range of Toothpaste available on Nykaa. Shop more Mamaearth products here.You can browse through the complete world of Mamaearth Toothpaste .